Live from the Coffee Plantations! 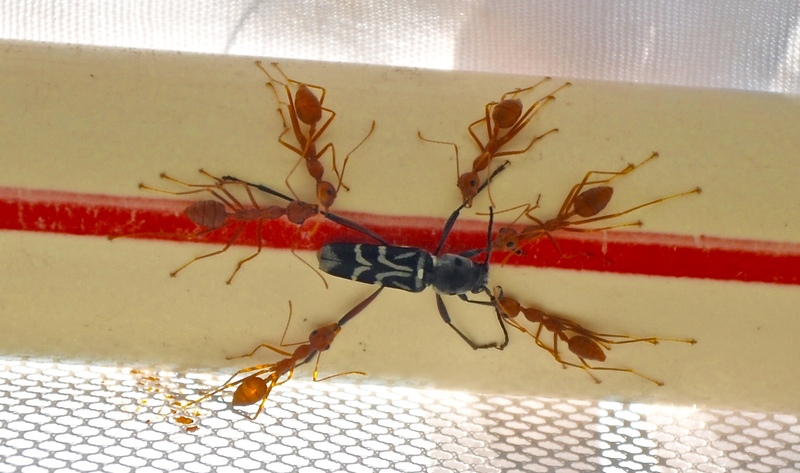 An amazing view of weaver ants working together to target a coffee borer beetle in Coorg. Thanks to Santosh for the photo!